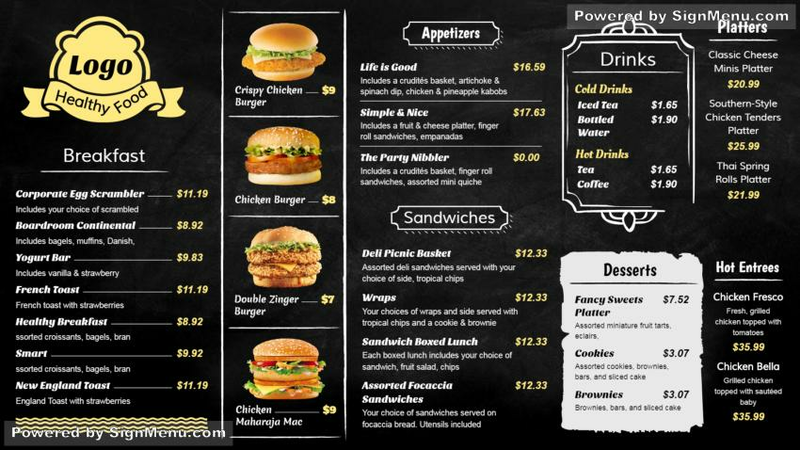 This template is best showcased on a digital menu board appropriately placed indoors of the restaurant. digital advertising has become the latest and most effective form of advertising today. And this template will help you garner maximum benefits from digital signage.It is ready for download and use.